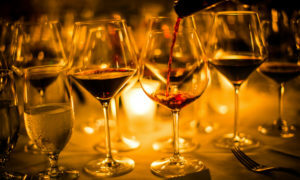 This coming Monday, June 12 we are excited and honored to partner with the acclaimed Montalcino Estate, La Gerla, for an intimate winemaker dinner here at Perbacco. Award winning winemaker, Alberto Passeri, will host the evening and share his thoughts on why wines produced in their tiny region of Tuscany are considered to be among the finest in the world. He will also talk with guests about how their small winery has become one of the great crus of Montalcino. The evening will begin at 6:30pm with a sparkling wine and hors d’oeuvres reception, followed by a four-course menu prepared by Chef Staffan that will be paired with the featured wines (listed below). The price for this dinner is $160 per person (excluding tax and gratuity). To reserve a seat at this special dinner, please contact Stephen Lee, Director of Hospitality + Private Dining: (415) 955-0647 or stephen@perbaccosf.com. 2015 Rosso di Montalcino D.O.C. 2011 Brunello di Montalcino D.O.C.G. 2012 Brunello di Montalcino D.O.C.G. 2012 Birba, Toscana Rosso I.G.T.